Joint attention is defined as the ability to coordinate one’s own attention between an object and another person to indicate a need or to share interest. It has become an important social interaction that is frequently discussed as one hallmark of autism. The table below lists social interactions and the ages children should typically demonstrate them. When assessing a child, consider a two month range for the age listed. The acquisition of these signify that the child has joint attention and is able to engage in reciprocal communication. As early as 2 months, infants reveal joint attention by reciprocating smiles. At about 8 months, gaze monitoring is the ability to follow another person’s eye movements. 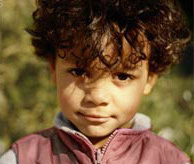 An example - a child should be able to follow the caretaker’s gaze toward an object to locate it. At approximately 9 months of age, most children will follow a point gesture when the caregiver points with her finger and exclaims, “Oh, look at ..."
Most children will show objects at 10 months "Showing objects" is when the child initiates an early attempt to have joint attention with the parent. For example a girl will bring a ball over to a parent to show that she is interested in the ball. Around 1 year of age, most children will attempt to obtain an object out of reach by getting the caregiver’s attention through pointing with their index finger, verbalizing, and making eye contact. This is often called “proto-imperative pointing.” The child will look alternatively at the object and the caregiver to communicate his or her desire to obtain the object. By 14 months most children will demonstrate “proto-declarative pointing.” The child will point to an interesting object, verbalize, and look alternatively between the object and the caregiver to simply direct the adult’s attention to the oject or event of interest. They are sharing their interest in the object with the caregiver and it is a higher level of social interaction than showing objects at 10 months. Around this same time, children will begin social referencing, or checking their parent’s facial expressions to react appropriately to an unexpected event. First Signs is a nonprofit organization dedicated to educating parents and physicians about the early warning signs of autism and other developmental disorders.